‘Red’ is about a collection of thought’s and experiences from both the past and present, depicted through symbolism and a subjective iconography referencing the fashion world in particular. It is reflecting upon an outcast, debauched, bohemian attitude within society, juxtaposed with typological and metaphorical signs of beauty and hope. ‘Red’ is about passion, desire, anger and power. 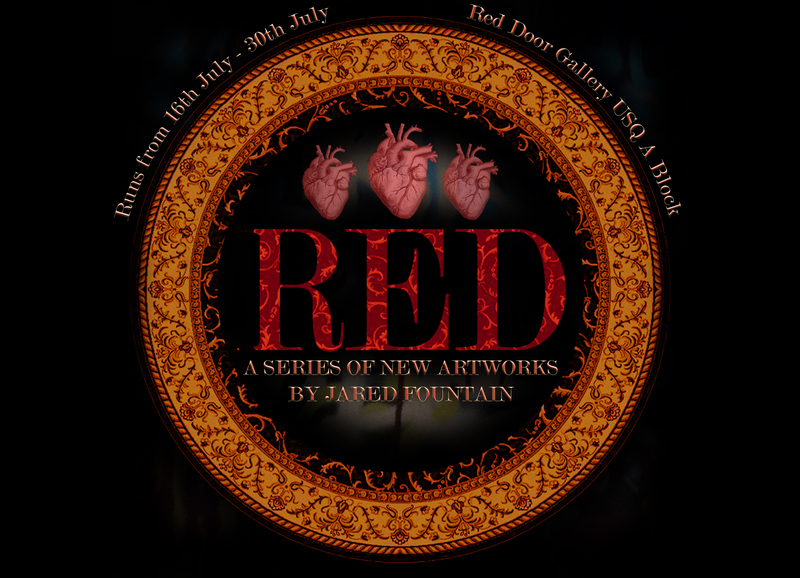 Hey people, I have finally gotten around to making an event page on Facebook for my solo show in July; ‘RED.’ The show is running from the 16th of July until the 30th of July at Red Door Gallery, USQ Toowoomba. I will be having an opening for the show on the 16th at 5pm, so if you can make it, your most welcome!